Here comes Latest New Balance Batpack 2016 for none other than EA Sports Cricket 07. They are some giant cricketing equipment. New Balance bats are widely used in all over the world. 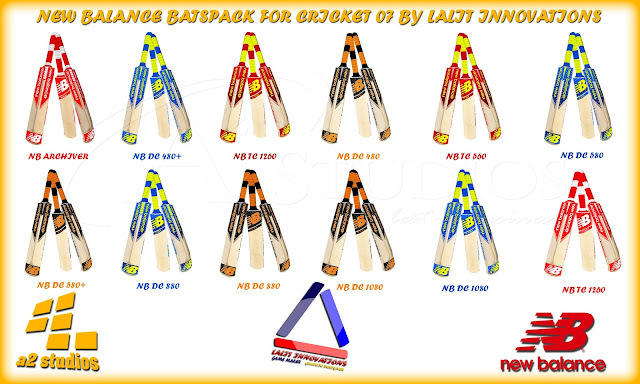 Be it real world cricket sports or online gaming experience, these bats will be joy to play! and we guarantee it! NEW BALANCE BATSPACK MADE BY LALIT INNOVATIONS.